Paper Things by Jennifer Jacobson Thursday, March 5th, 7:00pm at Longfellow Books When forced to choose between staying with her guardian and being with her big brother, Ari chose her big brother. There’s just one problem—Gage doesn’t actually have a place to live. When Ari’s mother died four years ago, she had two final wishes: that Ari and her older brother, Gage, would stay together always, and that Ari would go to Carter, the middle school for gifted students. So when nineteen-year-old Gage decides he can no longer live with their bossy guardian, Janna, Ari knows she has to go with him. But it’s been two months, and Gage still hasn’t found them an apartment. He and Ari have been "couch surfing," staying with Gage’s friend in a tiny apartment, crashing with Gage’s girlfriend and two roommates, and if necessary, sneaking into a juvenile shelter to escape the cold Maine nights. But all of this jumping around makes it hard for Ari to keep up with her schoolwork, never mind her friendships, and getting into Carter starts to seem impossible. Will Ari be forced to break one of her promises to Mama? Told in an open, authentic voice, this nuanced story of hiding in plain sight may have readers thinking about homelessness in a whole new way. "Jacobson elevates her book beyond "problem novel" territory with an engaging narrator who works hard to be loyal to her brother—and to her mother’s memory. Small moments pack big emotional wallops ... A tender exploration of homelessness." -Publishers Weekly Ari's plight vividly illustrates the myriad consequences of homelessness, and the adults around her who should be picking up on the numerous clues to her situation seem oblivious. Her perceptive first-person voice neatly captures her conflicted loyalty to Gage but also to Janna, as well as her valiant attempts to make an impossible situation work out." -Kirkus Reviews Jennifer Richard Jacobson is a writer, teacher, educational consultant, editor, and speaker. 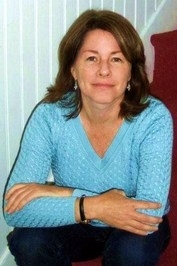 She writes in many genres, from children’s fiction to adult nonfiction. Among her books for younger readers are the Andy Shane early chapter books, the middle-grade novel Small as an Elephant, and the young adult novels Stained and The Complete History of Why I Hate Her. About Paper Things, she says, “This story allowed me to think deeply about the kids I worry about: those who for one reason or another lose their foundation of support (or never quite had it), children with so much potential…and yet they fall through the cracks.” Jennifer Richard Jacobson lives in Cumberland, Maine. Bring the family and join us for a reading with an author who makes adults want to read young adult books, ask your questions and get your books signed! Longfellow Books and Jennifer Jacobson will be donating a portion of sales to the Preble Street Shelter to help support its work creating solutions for homeless, hunger, and poverty. Ari's plight vividly illustrates the myriad consequences of homelessness, and the adults around her who should be picking up on the numerous clues to her situation seem oblivious. Her perceptive first-person voice neatly captures her conflicted loyalty to Gage but also to Janna, as well as her valiant attempts to make an impossible situation work out." -Kirkus Reviews Jennifer Richard Jacobson is a writer, teacher, educational consultant, editor, and speaker. She writes in many genres, from children’s fiction to adult nonfiction. Among her books for younger readers are the Andy Shane early chapter books, the middle-grade novel Small as an Elephant, and the young adult novels Stained and The Complete History of Why I Hate Her. About Paper Things, she says, “This story allowed me to think deeply about the kids I worry about: those who for one reason or another lose their foundation of support (or never quite had it), children with so much potential…and yet they fall through the cracks.” Jennifer Richard Jacobson lives in Cumberland, Maine. Bring the family and join us for a reading with an author who makes adults want to read young adult books, ask your questions and get your books signed! Longfellow Books and Jennifer Jacobson will be donating a portion of sales to the Preble Street Shelter to help support its work creating solutions for homeless, hunger, and poverty. Jennifer Richard Jacobson is a writer, teacher, educational consultant, editor, and speaker. She writes in many genres, from children’s fiction to adult nonfiction. Among her books for younger readers are the Andy Shane early chapter books, the middle-grade novel Small as an Elephant, and the young adult novels Stained and The Complete History of Why I Hate Her. About Paper Things, she says, “This story allowed me to think deeply about the kids I worry about: those who for one reason or another lose their foundation of support (or never quite had it), children with so much potential…and yet they fall through the cracks.” Jennifer Richard Jacobson lives in Cumberland, Maine. Bring the family and join us for a reading with an author who makes adults want to read young adult books, ask your questions and get your books signed! Longfellow Books and Jennifer Jacobson will be donating a portion of sales to the Preble Street Shelter to help support its work creating solutions for homeless, hunger, and poverty. Jennifer Richard Jacobson received her master’s in education from Harvard Graduate School of Education. She has taught preschool through sixth grade and has served as Curriculum Coordinator, Head of Studies or Language Arts Specialist in several New England schools. As a continuing author-in-residence and educational consultant, Jennifer has worked with thousands of teachers and administrators to help students reach their highest potential. A stowaway, a stolen book, a murderous villain: an adventure on the most famous shipwreck in history. The great ocean liner Titanic is preparing to cross the Atlantic. On board is a sinister thief bent on stealing a rare book that may be the key to unlocking infinite treasure, a wealthy academic traveling home to America with his rare book collection, and Patrick Waters, a twelve-year-old Irish boy who is certain that his job as a steward on the unsinkable ship will be the adventure of a lifetime. Disguises, capers, and danger abound as the ship makes its way toward that fateful iceberg where Patrick will have to summon all his wits in order to survive. Bethesda Fielding and her sort-of sidekick Tenny Boyer are back! There’s been a shocking crime at Mary Todd Lincoln Middle School, and only Bethesda can solve it. If she can. But she’s having trouble. Plus, everyone is sort of mad at her. Also, there’s a whole subplot about a video where a kid dressed in a bear suit falls down some stairs. This sequel to The Secret Life of Ms. Finkleman is full of puzzles, thrills, and laughs. Ben H. Winters is the author of a whole bunch of books, including the Edgar Award-nominated middle-grade novel The Secret Life of Ms. Finkleman. He also wrote two parody novels, the New York Times bestseller Sense and Sensibility and Sea Monsters (with Jane Austen) and Android Karenina (with Leo Tolstoy). Ben’s work for the theater includes the children’s musicals The Midnight Ride of Paul Revere, A (Tooth) Fairy Tale, and Uncle Pirate, all published in acting editions from Samuel French. Ben has additionally worked over the years as a bass player, an ice-cream scooper, a creative-writing teacher, a transcriptionist, and (disastrously) as a cat-sitter. These days Ben lives in Cambridge, Massachusetts, with his family. Jennifer Richard Jacobson's book The Dollar Kids is currently available from LibraryThing Early Reviewers. Jennifer Richard Jacobson is currently considered a "single author." If one or more works are by a distinct, homonymous authors, go ahead and split the author. Jennifer Richard Jacobson is composed of 9 names. You can examine and separate out names.